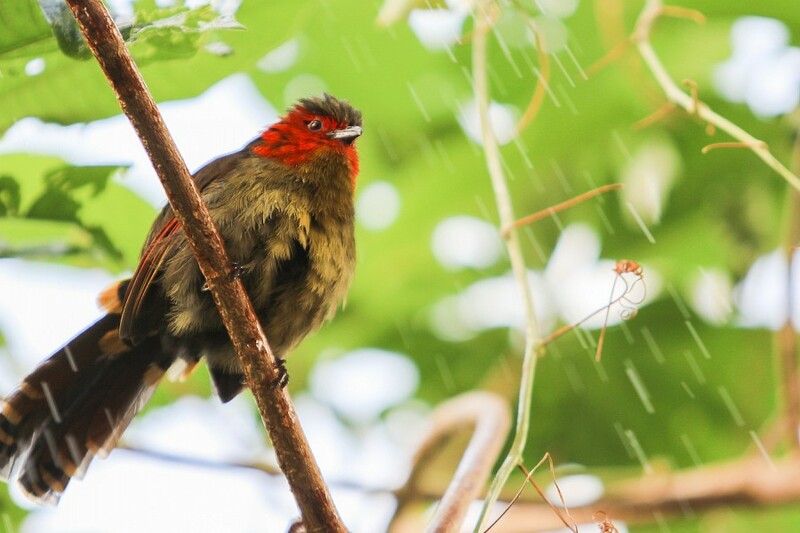 These special personal experiences put you as close as possible to our birds and their caretakers! Perfect for all ages, immerse yourself in brilliant colors to feed our flock of sun conjures! Our Amazon Adventure Experience is available every day of the week. 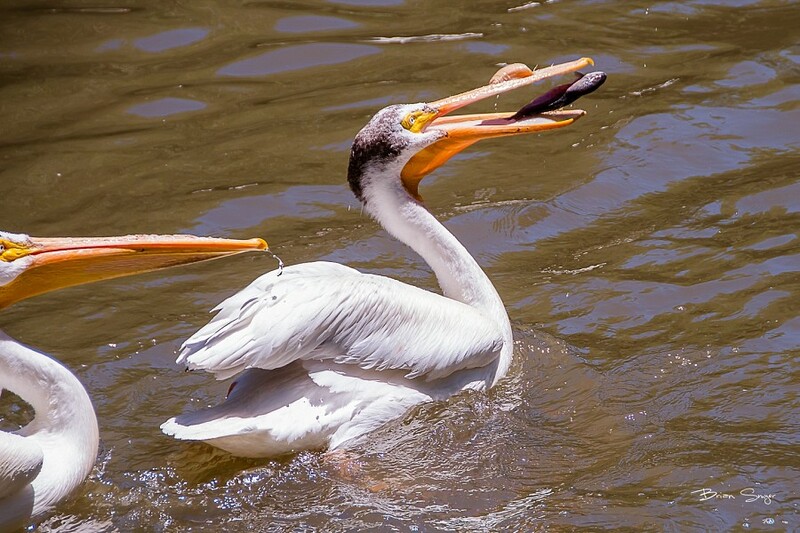 Add to your avian experience by tossing a fish into a pelican's gaping pouch! Our Pelican Encounter experience is available every day of the week. Every morning the keepers do an "AM check" where they look at each bird and make sure they are healthy and doing well in their exhibit. Be at the exhibit at 9:15 to see the birds come out of the trees for their check-up. The native rainforest plants found inside our Treasures of the Rainforest exhibit require lots of water and humidity. As we provide this for our plants, you can experience a rainstorm just as you might in a natural rainforest. If you are lucky you may see some of our birds enjoying a bath. 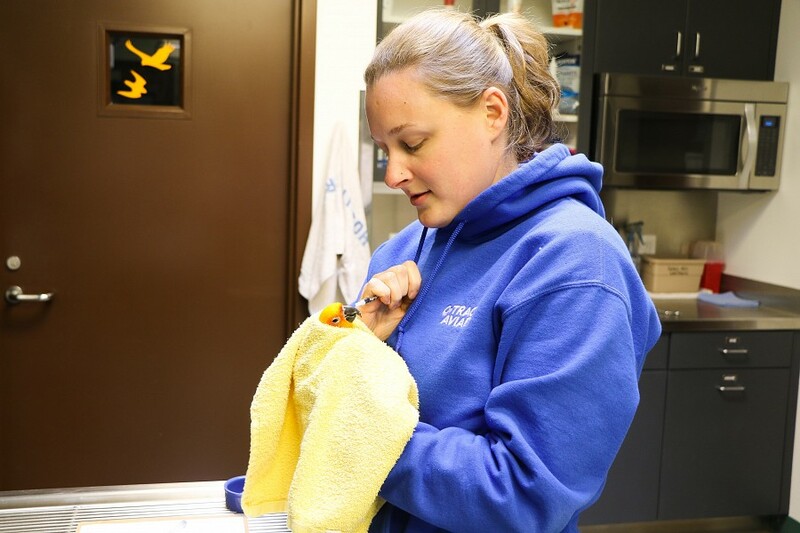 Participants will get a tour of the Avian Health Center and Quarantine building, where they will learn about the role of our veterinary technicians and the Aviary's goal to provide the best possible medical care to our birds. They will see where birds are treated and hospitalized, as well as the building where we house new birds to monitor their health before they are on exhibit for the public. 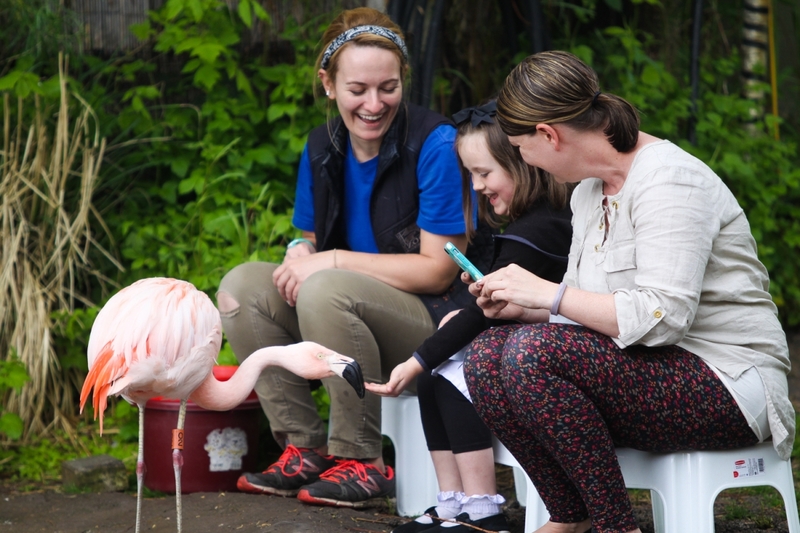 Get close with our Chilean flamingoes and their South American feathered friends! Join one of our Bird Keepers inside the flamingo exhibit where you will learn all about how we care for these fascinating birds. The experience starts with a tour inside our Flamingo holding building. Our Bird Keepers will go over all the intricate details in caring for flamingos and why this building is so important to their care. After the tour of the building, participants will be led out on to the exhibit where they will get a closer view of the birds and spend time learning more about their natural history. During this time participants will be able to toss food to the flamingos and waterfowl. Participants will have the opportunity to watch how these birds stir up the water with their feet and use their specialized beaks to filter for food. You will feel like you are part of Tracy Aviary's very own Flamboyance! Please tell us the names and the ages of particpants. Get Close with our Bird Keepers and help prepare daily diets for the hawks, eagles, owls, and vultures! Your work isn't finished after diet prep as the next step is to feed our hungry raptors. Watch as these carnivores use their specialized beaks and talons to eat the tasty meals you prepared! 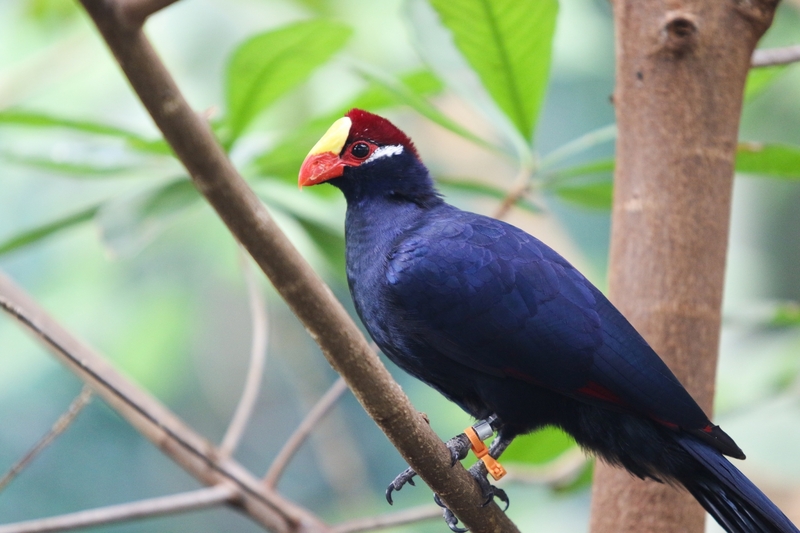 Spend some time with our keepers and learn about what it takes to care for these amazing birds! Join our Curator of Exhibit Collections or our Lead Keeper for a tour of our behind the scenes spaces. You will get a first-hand look on how we care for our over 400 birds. Bring a camera for some unique opportunities to take photos of our birds. Additional notes: One guest is allowed at a time in the exhibits, experiences with two participants can rotate entering the exhibits during the one hour time frame. 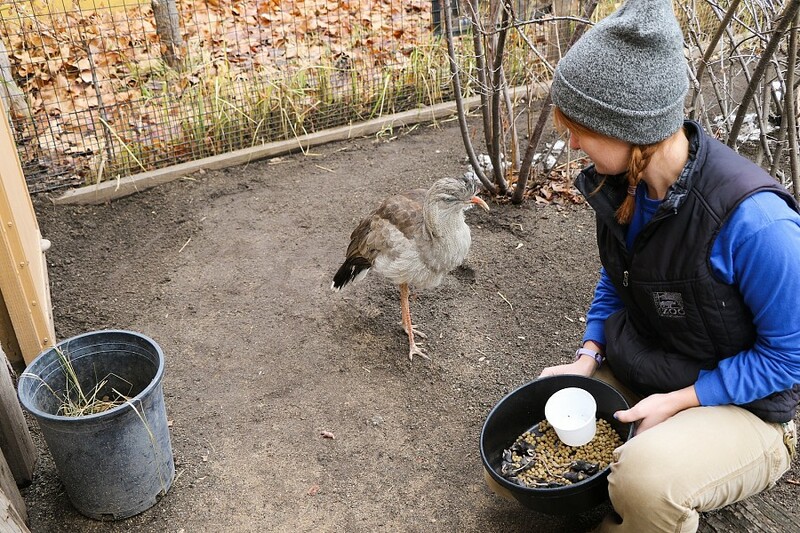 Have you ever wondered what it takes to care for the Tracy Aviary Flock? Join one of our keepers for an adventure! 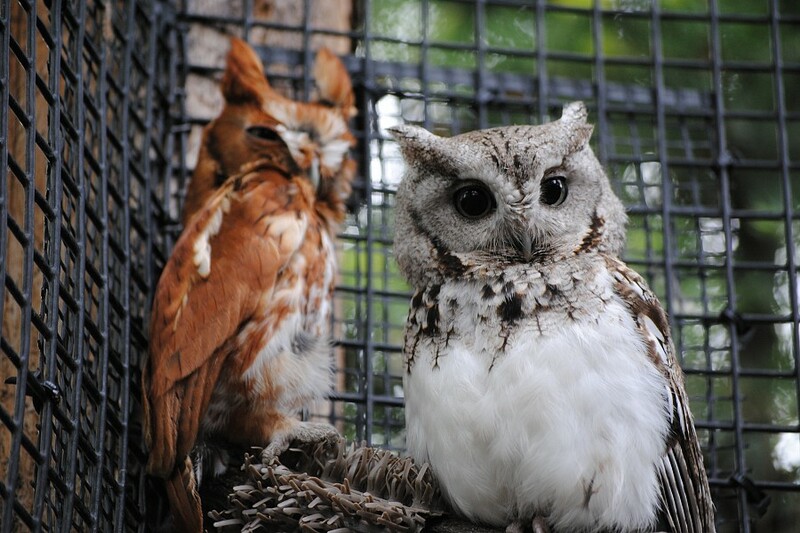 You will work side by side with one of our keepers as you learn about the many details that go into caring for birds. Come prepared to get your hands dirty as you are immersed into the world of being a keeper! Additional Notes: Work alongside a keeper for half a day! The day starts with a morning meeting with the aviculture department followed by a morning check of the birds, exhibit cleaning, diet preparation, feeding, and behavioral observations. This is a behind the scenes working experience where participants will be entering exhibits and helping keepers with various tasks needed to keep the birds healthy. 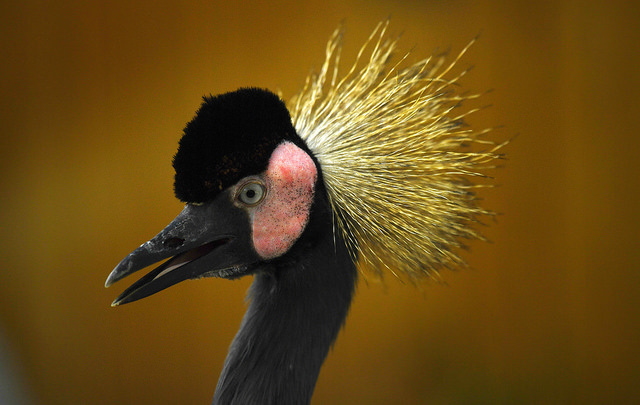 Get close to Tracy Aviary royalty, our two West African crowned cranes, Jasmine and Tiana. 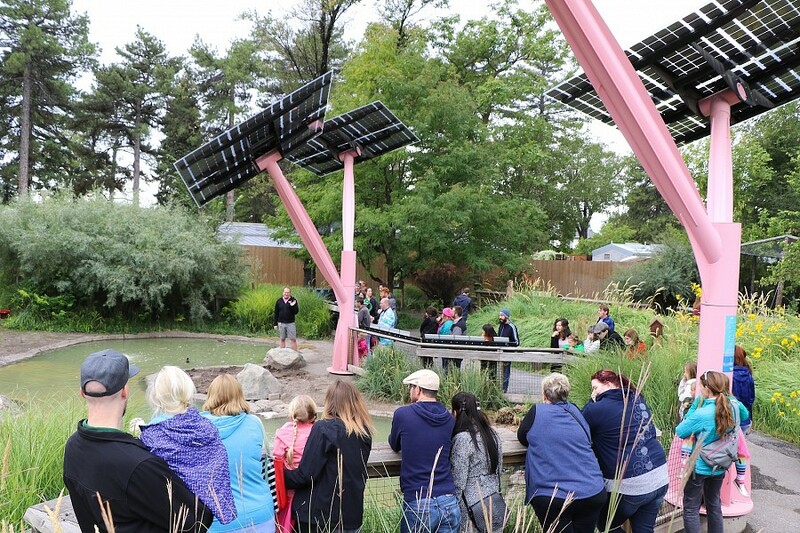 Join us for this private experience before we open to the public and get your morning exercise walking through Tracy Aviary's beautiful botanical gardens with our cranes as your chaperones. Learn all about cranes and their conservation from our experienced staff as you enjoy seeing our cranes take flight and soar overhead. You will also have the opportunity to hand-feed our cranes, and don't forget to bring your camera to capture the memories. Guests will meet the trainers outside the Nature Store. Experience is before hours. 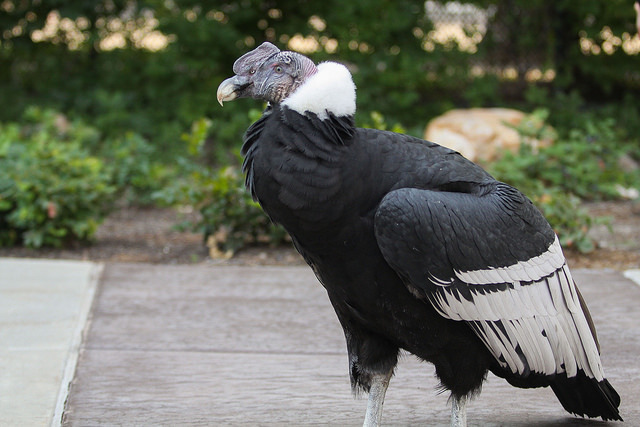 Get close to Tracy Aviary's celebirdy condor, Andy. Join us for this private experience before we open to the public and get your morning exercise walking through Tracy Aviary's beautiful botanical gardens with Andy as your guide. Learn all about condors, vultures, and their conservation as well as Andy specifically from our experienced staff as you enjoy the unique experience of walking alongside one of the most impressive ambassadors we have. 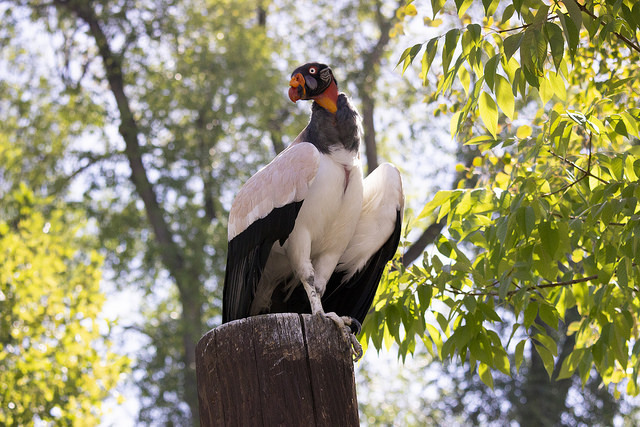 Tracy Aviary is the only place in the country where you can walk with a condor; don't forget to bring your camera to capture the memories. Get close to our clever, crafty corvids in this private experience featuring our bird show ambassador corvids. Experience for yourself why corvids are considered some of the smartest animals on our planet. 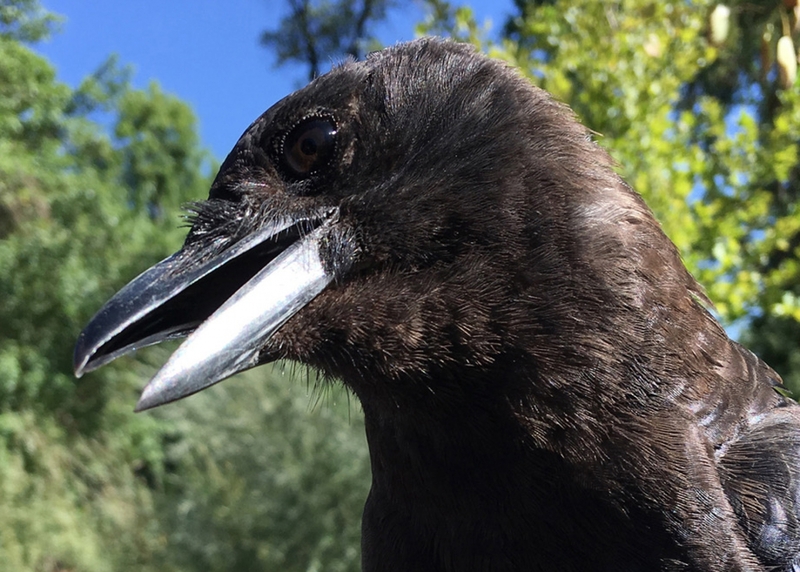 Learn all about crows, ravens, jays, and their clever corvid cousins from our experienced staff as you interact with some of the smartest and most resourceful birds we have on our ambassador team. Play a game with our raven, learn from our crow, have our jays fly to you, and capture photos to preserve the memories. Don't forget your camera! Get close to our airborne predators! 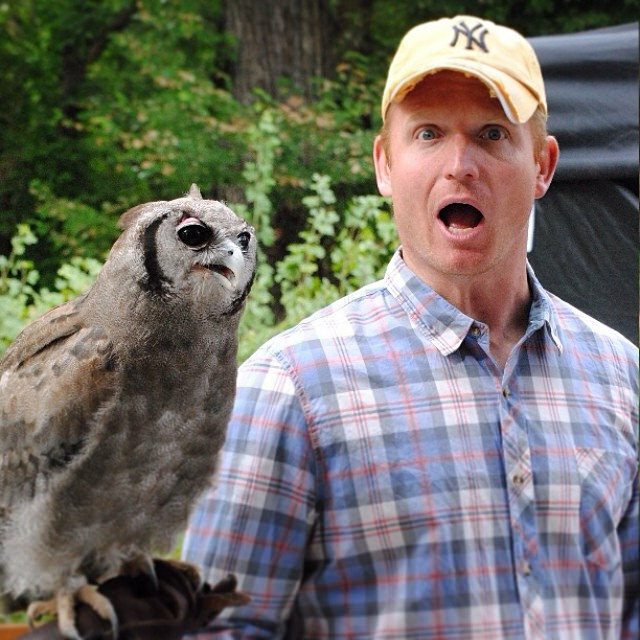 Owls and falcons and hawks, oh my! See them fly, watch them eat, and feel the power and privilege of having one or more of our raptors fly to you or sit on arm. Learn the similarities and differences between the three main groups of raptors as well as conservation action we can all take to help preserve them. Experience the rush of our falcon flying to you, watch our red-tailed hawk use his specialized beak and talons, and pose for photos with our milky eagle owl. Don't forget your camera! 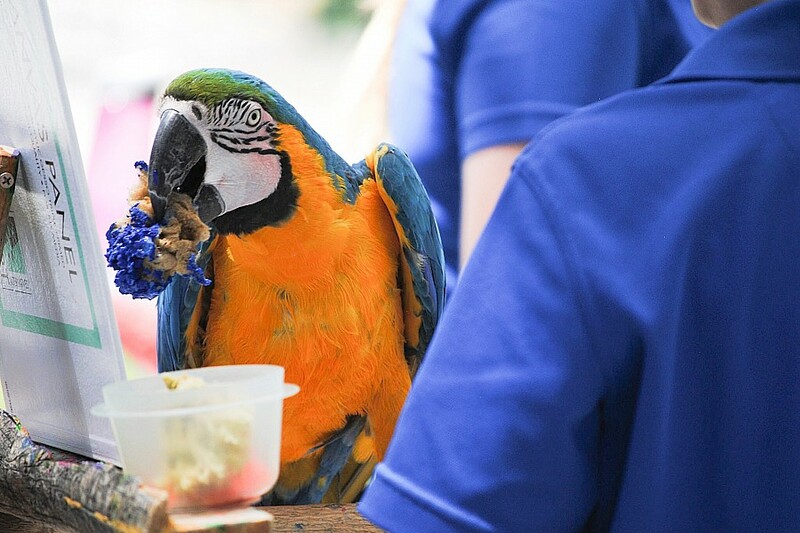 Get close to one of Tracy Aviary's greatest artists, blue and gold macaw Picasso. Choose your own colors and watch her create your custom piece of artwork while trainers help you get to know this talented artist better. The original piece of artwork, created on an 11x14" canvas, is yours to take home and enjoy forever. All art is accompanied by a certificate of authenticity and photo of the artist. Have you ever wondered what it takes to train and care for Tracy Aviary's bird show star ambassadors? 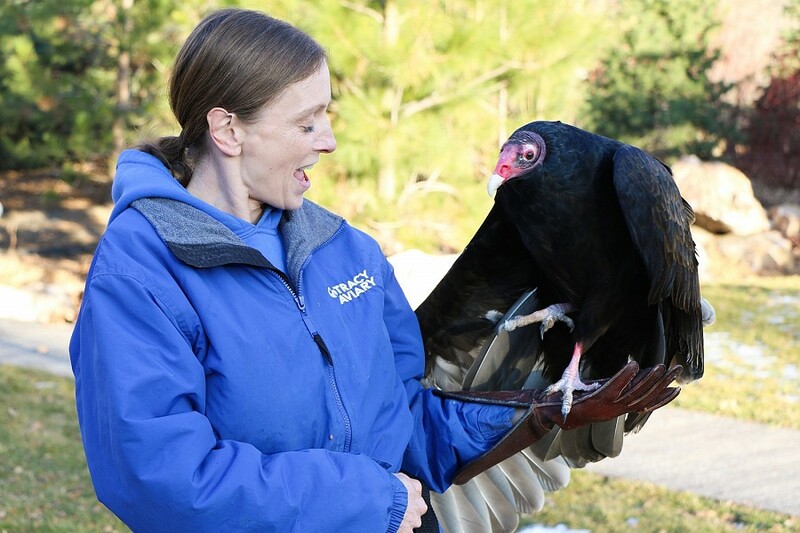 Join our bird show staff for a Trainer for a Day adventure! You will work side-by-side with our trainers for half a day as you learn about the many details that go into training and caring for our resident show stars. Trainers at Tracy Aviary are responsible for caring for our Bird Show Stars and training them for husbandry and show behaviors as well as presenting shows and other educational programs. 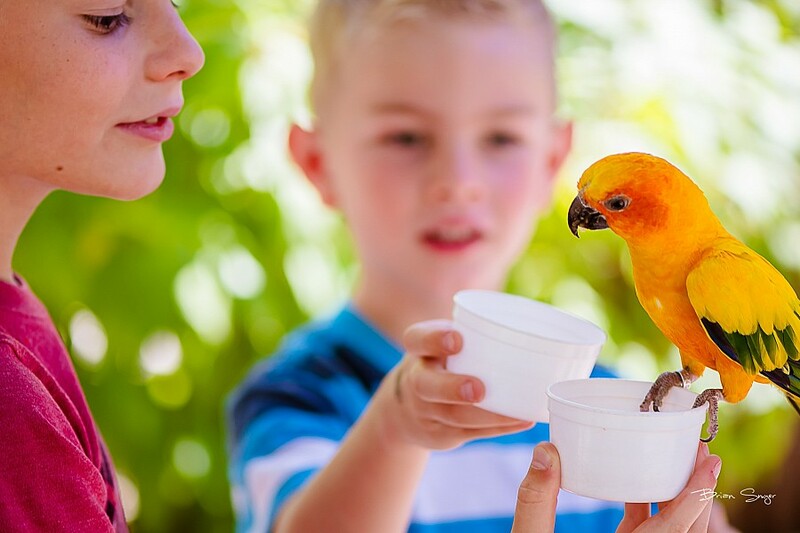 This customized experience includes four hours of one-on-one time with our bird trainers, during which you will observe and assist in the care and training of our birds. Play with a parrot, talk to a toucan, fly a falcon, enrich an emu, and more! Participants are welcome to photograph their experience. The day starts with diet preparation, enclosure cleaning, and enrichment creation for our birds. Experience our daily activities, such as taking one or more of our avian ambassadors on a walk around the Aviary, or participating in training sessions. You will also assist in all the backstage preparations involved in setting up for our bird show as well as participating in it Spend a delightful few hours up-close with some of Tracy Aviary's most charismatic birds and their trainers as you learn all about their personalities and what it takes to work with them!